New science comes out all the time concerning our dog’s health. This information can be life altering to you and your dog. At the top of the list now, is “Vaccines”. What vaccines are necessary, at what age should they be given and which ones potentially could harm our dogs. Here at White Oak Golden Retrievers we believe in limited vaccines, holistic vet care and of course, a species appropriate diet. There are many sources that you can research to get the most up to date information on what vaccines to give, when to give them, and which ones can wait. 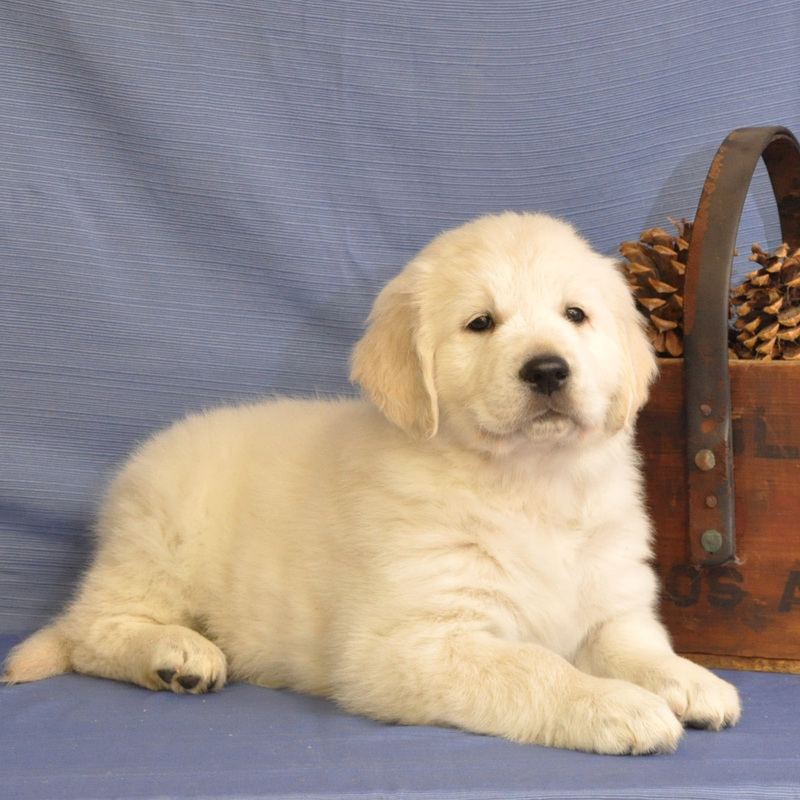 Visit our website; http://www.whiteoakgoldenretrievers.com and then click on our “health and diet” page to start your research. We hope you will join us in our quest to keep our dogs living longer and free of disease. Collagen is also found in abundance in the joints and connective tissue of the body. In fact, collagen makes up 70 to 90% of our muscles, tendons, ligaments and other joint supporting tissues. As happens in the skin, when collagen breaks down in the body, the joints become less stable, the muscles and connective tissue loosen and become more brittle, and disorders such as arthritis, degenerative disc disease, tendonitis and overuse injuries begin to occur. The same thing happens in our dogs. They might not get the crow’s feet and turkey necks that we older humans sport, but they do suffer from age related joint and soft tissue pain due to collagen loss and degradation. Sadly, many dogs suffer from these diseases at a very young age. Breeders and lovers of large breed dogs know all too well the heartache of canine hip and elbow dysplasia. Dog owners see patellar subluxations, cruciate tears and osteochondritis dissecans (OCD) in young dogs at an alarming rate and they pay the price with expensive surgery, therapy and supplements. Why are dogs suffering from these diseases at such a young age? Many breeders and vets are quick to say that it is due to bad genetics – so good breeders screen their dogs for these diseases before breeding, to make sure the problems are not passed down to the offspring. The problem is, this screening hasn’t really changed the incidence of most of these diseases. Hip dysplasia was first diagnosed in dogs in 1935, although nobody seemed terribly interested at the time. Over twenty years later, the number of dogs presenting with this disease prompted the Swed- ish Kennel Club to become one of the first to develop a program to reduce the incidence of hip dysplasia. They believed that if German Shepherd breeders took radiographs of their dogs and only bred the dogs that did not show evidence of hip dysplasia, they could eliminate hip dysplasia. After ten years of selective breeding however, the incidence of moderate and severe cases of hip dysplasia didn’t change. Dogs that did not show radiographic evidence of hip dysplasia were still producing puppies with the disease. 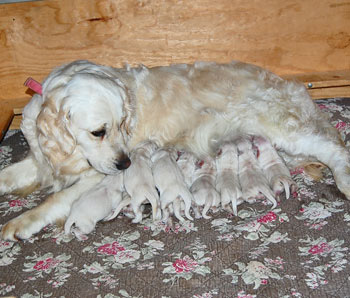 In one study, over two thirds of dysplastic puppies were from normal parents. This led researchers to conclude that hip dysplasia was a polygenic disease (residing in more than one gene), meaning that the severity of the disease could be influenced by environmental factors such as diet and lifestyle. However, affected puppies are born with normal hips – the dysplastic changes are not there at birth. Over fifty years later, despite increased testing rates, the incidence of hip dysplasia is not going down in most breeds. In fact, smaller breeds are now showing an increased susceptibility to this disease which historically was limited to larger breeds of dogs. Even in Germany, where the kennel club has very tight breeding restrictions, the incidence of hip dysplasia in German Shepherds is still 7%. Hip dysplasia is not the only common joint disorder in dogs. Cranial cruciate tears are becoming endemic in dogs, as are luxating patellas and elbow dysplasia (two more disorders that breeders do clearances for). In the midst of this, the vets point their fingers at both breeders and purebred dogs and the breeders point their fingers at the pet owners and at each other. Surely somebody must be to blame? A polygenic disease is one that takes the right combination of genetic susceptibility, environmental factors and dietary influences to occur. The genes are like a light switch: if a dog has a genetic susceptibility to hip dysplasia, the switch is in the ON position. Just because a dog has the gene for hip dysplasia however, does not mean he will be affected: the severity of the disease will be directly influenced by the dog’s diet and other environmental factors such as exercise level or body condition – or so the theory goes. Unfortunately, we don’t know which dogs possess and produce the genes that cause joint disease – but dog owners can change the environmental stressors. To this point, vets and many breeders will pay lip service to things such as keeping puppies lean, not feeding them too much protein (a myth that is not proven), giving them supplements – all the usual drama. Puppy buyers usually get this well rehearsed speech when they bring their new puppy in for his vaccination. Most vets actively look for large breed puppies to show signs of hip dysplasia and are ready to step in with surgery. They blame the breeders and their purebred dogs for joint issues while, at the same time, they inject these healthy puppies with vaccines. Is it any coincidence that even severe cases of hip dysplasia are not seen before eight weeks of age – the age at which most puppies are vaccinated? Why is it that, once again, vets are recommending expensive hip surgeries and multiple, unnecessary vaccines, while remaining oblivious to what should be obvious? Why is nobody blaming the vaccines when there are plenty of reasons to do so? Interesting. The distemper vaccine was introduced in 1950 and just a few years later, the breed clubs suddenly felt the need to start doing hip clearances on breeding stock. There is no cause and effect here but the temporal relationship is fairly noteworthy. Vaccination has been implicated in cases of polyarthritis in dogs. Here is an interesting passage from the Veterinary Products Com- mittee (VPC) Working Group on Feline and Canine Vaccination. “Occasional self-limiting cases of immune-based arthritis in dogs have been reported usually following primary vaccination, and recently, four young adult dogs of different breeds have been reported to develop an idiopathic polyarthritis three to15 days after multivalent vaccination. Immune-mediated polyarthritis and systemic disease including amyloidosis has been reported in Akita dogs following modified live vaccination. Hypertrophic osteodystrophy (HOD), in some cases associated with juvenile cellulitis, has been reported following vaccination, mainly in Weimaraners, and it has been suggested that canine distemper virus may be involved. There is also some evidence that canine distemper virus (and possibly vaccines) may be involved in canine rheumatoid-like arthritis through the formation of immune complexes”. Here is the predictable part: “…the immunological basis of such reactions is unclear, and it is possible that such apparent associations with vaccination may be due to coincident disease development, particularly in young animals”. That sure would be a heck of a coincidence. Catherine O’Driscoll sheds more light on the relationship. Autoantibodies to collagen? Vaccinated dogs developed autoantibodies to their own collagen and nobody was worried about that? In 1999, a one of a kind study was performed that should have connected the dots between vaccination and joint disease (Hogenesch H, Azcona-Olivera J, Scott-Montcrieff C, Snyder PW, Glickman LT. Vaccine-induced autoimmunity in the dog. Adv Med Vet 1999;41:733-747). In this study, puppies were immunized with the rabies vaccine and the usual cocktail of core and non-core vaccines. The authors concluded that the vaccinated but not the unvaccinated puppies developed autoantibodies to their own collagen. The authors noted and reproduced similar findings in a follow-up study in dogs that were given just the rabies vaccine and just the multivalent vaccine. The vaccinated dogs in this study were literally destroying their own collagen (as well as their own DNA and other important substances), and nobody thought “aha, maybe this is why our dogs are being hit so hard with joint disease and we can’t breed it out of them.” Instead, the researchers discontinued the study when the puppies were 22 weeks of age and, over a decade later, nobody has viewed these results as a serious threat to canine (or human) health. Why is it that vets and researchers can claim purebred dogs and genetics are to blame for these joint disorders when this shining beacon is aimed squarely on vaccination, especially the distemper shot? In a 1989 study, Bari et al found autoimmunity to collagen in 72.4% of dogs with rheumatoid arthritis, 88% of dogs with infective arthritis and 52% of dogs with osteoarthritis. Dogs with cruciate disease also showed significantly increased levels of autoantibodies. They also had higher levels of anti-collagen antibodies in the synovial fluid (the fluid that surrounds joints). They concluded that anti-collagen complexes were present in all joint disorders. The presence of these anti-collagen antibodies, just like those noted in the vaccinated dogs in the Purdue study, can actually predict cruciate tears. In dogs with cruciate tears in one leg, studies show elevated anti-collagen antibodies in the other leg which predicted future tears. When multiple joints were tested, higher levels of autoantibodies were found in stifle joints that were eventually torn than in other joints of the body (DeBruin et al, 2007). These autoantibodies have also been found in the joints of dogs suffering from arthritis that is not secondary to cruciate tears (Niebauer et al, 1987). Duke University Medical Center researchers led by Kyle Allen found that collagen deficient mice prematurely developed common and chronic musculoskeletal disorders while the wild-type mice did not. “We observed a pattern of behavioral changes in the collagen deficient mice that suggests a relationship to (osteoarthritis and de- generative disc disease),” said Allen, who noted the collagen deficient mice also had elevated levels of knee and intervertebral disc structural changes. Collagen is concentrated mostly in weight supporting tissues, basically cartilage and bones. Collagen is also concentrated in high percentages in the parts of the body transmitting strength, such as tendons. Collagen not only protects joint cartilage, it is also what protects tendons and ligaments against tears. The elastic property of collagen gives ligaments a tiny bit of stretch so that if the joint that ligament supports is stressed, the ligament can withhold the tension without tearing. Just as bridges and high rise buildings need a tiny bit of give in them to weather high winds and earthquakes, ligaments need the elastic properties of collagen to bear shearing forces within the joints. Collagen is also important for the integrity of joint surfaces. There is a thin layer of tissue surrounding the cartilage on the surface of joints called the pericellular matrix (PCM). Together with collagen and other cartilage cells, the PCM forms a barrier between the cells and the rest of the cartilage tissue. When collagen is disrupted in joints, the changes in mechanical forces on the cells can lead to degenerative changes. In May, 1997, a paper was presented in the Journal of the American Veterinary Medical Association by Jens Sejer Madsen, Ph.D., D.V.M. from the Small Animal Hospital, Department of Clinical Studies, Royal Veterinary and Agricultural University, Frederiksberg C, Denmark. This study shows how collagen can be related to hip dysplasia. The vets and breeders are right in that hip dysplasia and other joint disorders are caused by a variety of environmental and nutritional factors. Genetics probably do play a role, although it could have something to do with the cumulative damage the puppies’ parents and grandparents suffer through repeated vaccination, highly processed diets, antibiotics and toxins. On top of that, the Purdue study showed that vaccinated dogs develop autoantibodies to their own DNA; perhaps vaccinated breeding dogs are passing along damaged DNA and that is a part of the picture. Meanwhile, the vets and researchers repeatedly state there is no cause and effect relationship and that further studies will have to be done before vaccines can be implicated in joint disease. While we wait for those magical studies, vets continue to vaccinate every three years, or even more frequently, with vaccines that were shown to last at least seven years over thirty years ago. 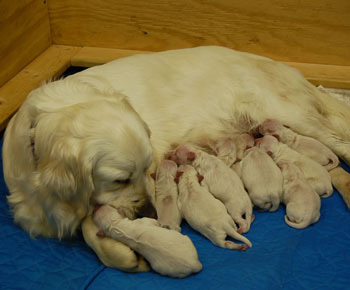 In the case of distemper, one of the vaccines repeatedly vindicated in joint disease, puppies develop titers within hours of their first distemper vaccination. In his study at the University of Wisconsin- Madison, Dr. Ronald Schultz vaccinated puppies with one dose of distemper vaccine just four hours prior to being placed in a room with distemper-infected dogs. All of the puppies were protected against distemper in this challenge study. This bears repeating. Dr. Ronald Schultz, the leading canine immunologist, publishes a study in which every single puppy is protected within hours of the very first vaccination. Thirty years prior to this, he determined that core vaccines (including distemper) last at least seven years, and most likely for the life of the dog. So it should be pretty obvious that it only takes one distemper vaccine to protect a puppy from distemper for life. Why then does the average dog get vaccinated for distemper at 8 weeks, 12 weeks, 16 weeks, one year, four years, seven years, ten years – and if he is lucky enough to have lived through this unnecessary and dangerous onslaught – thirteen and sixteen years of age? Nine shots of the same virus that is shown to be permanently effective within hours of the very first vaccine is considered a minimal vaccine schedule by most veterinarians – many other dogs receive 15 or more shots of distemper! It is no wonder that joint disease is on the rise in dogs, especially in the most aggressively vaccinated subset: purebred dogs. Clearly, more research needs to be done in this area but somebody should at least pay attention to the growing list of unwanted and adverse effects caused by vaccines. There is a growing list of joint and collagen related changes that occur after vaccination and they are implicated in joint disease which has become a significant problem in today’s dog population. I’m not saying stop vaccination for distemper altogether (although that is a viable option), but at the very least, stop the madness of unnecessarily vaccinating dogs for distemper over, and over, and over, and over again. Isn’t there enough research to make vets just a little bit concerned about potential damage from the eight or more distemper vaccines that go into dogs? It seems that in-depth research and analysis are not all that necessary when it comes to giving more vaccines but when it comes to giving less, research is suddenly put on the hot seat and common sense goes out the window. What will it take before vets start taking this research seriously and stop vaccinating dogs unnecessarily? PERMISSION GRANTED TO CROSS-POST THIS MESSAGE. In response to questions about Lyme disease in dogs and the Lyme vaccine, I would like to share the advice that Dr. Ronald Schultz, Chair of Pathobiological Sciences at the University of Wisconsin School of Veterinary Medicine gave me for my 2 dogs, who both receive(d) (one died in July from a mast cell tumor which developed at a rabies vaccination site) 100+ tick bites a summer. I was concerned after having contracted Lyme twice myself; however, none of the dogs we have had over 30 years were ever vaccinated against Lyme or ever contracted the disease. After getting it myself, I was reconsidering. Dr. Schultz advised me that there was far more risk associated with the Lyme vaccine than there was with antibiotics to treat the disease if one or both dogs contracted Lyme. He further explained that if they tested positive for Lyme, but displayed no symptoms, then not to treat them with antibiotics because it indicated that they had been exposed to the disease, but hadn’t contracted the disease. However, he said, that if they tested positive for Lyme and had symptoms (lameness, fever, lethargy, etc..), then start treatment. Dr. Schultz elaborated by telling me that in vaccinology, immunology, the point is not to prevent infection, it is to prevent disease. In fact, low-grade infections are introduced to elicit immune responses, which is how vaccination works, by introducing an attenuated (weakened) antigen into the animal’s system. Further, he said that a positive Lyme test in an ASYMPTOMATIC dog merely reflects the fact that the dog has been exposed; positive Lyme test in a dog with SYMPTOMS indicates that the animal has contracted the disease and needs treatment. Based on his advice, I have chosen to not vaccinate my dog(s) against Lyme. Below are links to a few articles on the subject which may help you in deciding whether or not to vaccinate your dog against Lyme. 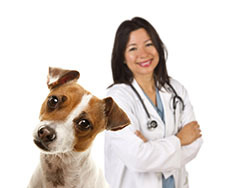 Dr. Alice Wolf, Professor of Small Animal Internal Medicine at Texas A&M College of Veterinary Medicine, stated in an address Vaccines of the Present and Future WSAVA 2001 – Vaccines of the Present and Future at the 2001 World Small Animal Veterinary Association World Congress that Lyme vaccines : “are only partially effective and may cause serious immune-mediated consequences in some dogs that are as serious or more serious than the disease itself…..The most reactive vaccines for dogs include leptospirosis bacterin and Borrelia [Lyme]vaccine .”. Canine Lyme, What’s New? Vet Tech: Canine Lyme: What’s New? “It is not a scientifically based recommendation to suggest that all dogs in Maine should be vaccinated with Lyme Vaccine. There may be select areas in the state, “hot spots” where infection is very high and vaccination would be indicated, but dogs in most parts of the state would probably not receive benefit and may actually be at risk of adverse reactions if a large scale vaccination program was initiated. Wisconsin has a much higher risk of Lyme than Maine, however at our Veterinary Medical Teaching Hospital (VMTH) we have used almost no Lyme vaccine since it was first USDA approved in the early 1990’s. What we have found is infection (not disease), in much of Wisconsin, is low (<10% infection). As you know, infection does not mean disease. About 3 to 4% of infected dogs develop disease. In contrast, in Western and Northwestern parts of Wisconsin infection occurs in 60 to 90% of all dogs. In those areas, vaccination is of benefit in reducing clinical disease. …….. Also, vaccinated dogs can develop disease as efficacy of the product is about 60 to 70% in preventing disease, thus antibiotics must be used in vaccinated dogs developing disease, just like it must be used in non-vaccinated diseased dogs. Therefore, in general areas with a low infection rate <10>50%) then the vaccine will be very useful. Thus, I believe it is irresponsible to suggest that all dogs in Maine should be vaccinated . Veterinarians should know, based on diagnoses in their clinic and other clinics in the area (town), how common the disease would be and they should base their judgment to vaccinate on risk, not on a statement that all dogs in Maine need Lyme vaccine!